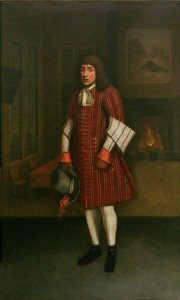 Thomas Doggett was an Irish comedian who came to London in about the year 1690. After playing many parts at Drury Lane, he became a theatre manager. He appears to have taken a considerable interest in the Watermen of the Thames, who were much more numerous than they are now and were the equivalent of the modern taxi driver. It was a common custom for rowing wagers to take place on the river so that Doggett was no innovator in founding a race. Being a Whig, he founded his race in order to commemorate the accession of George I to the throne. The books of the Company confirm that the first race was held on 1st August 1715. Doggett organised the race himself until his death in 1721. In his will he instructed his executors to endow the race, which was to be managed by a Mr Edward Burt of the Admiralty Office. The will set out detailed particulars of the style and cost of the badge and livery and specified that the race was to be held annually on 1st August “for ever”. Mr Burt being apparently unwilling to assume the burden laid upon him by the will, it was arranged that the executors should transfer £300 to the Fishmongers’ Company, which would carry out Doggett’s instructions instead. The Fishmongers’ Company have faithfully complied with their undertaking ever since, although the costs of providing the Badge and Livery have increased considerably over the years. The Watermen’s Company have always provided the race competitors, six each year. According to Doggett’s custom they are young watermen “in the first year of their freedom” of the Watermen’s Company. Since 1976 up to three attempts can be made to win the race. 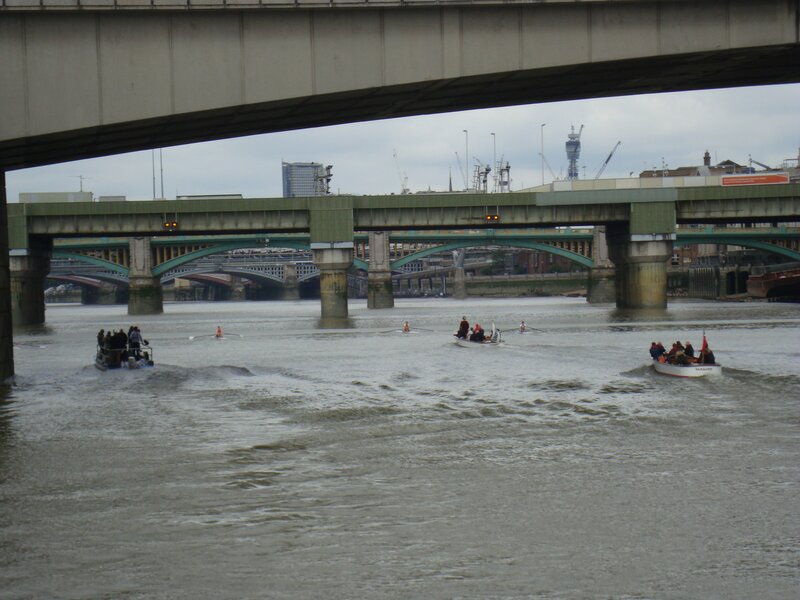 The Course has always been the four and a half miles from London Bridge to Chelsea and it is recognised as a test of watermanship and endurance. Until 1873 it was rowed against the tide. The types of boat used for the race have varied over the years: originally four-seater passenger wherries, later “old fashion boats” (racing boats but with wooden ‘wings’ – wooden outriggers covered with planking) and from 1906 to 1955 “best” boats. Thereafter new boats have been provided for watermen to use: clinker gigs in 1956, and replacements in 1964 (for the 250th race) and 1981. These fleets have been financed by the Fishmongers’ Company, with the assistance of the Watermen’s Company and a wide range of watermen, lightermen, employer, Journeymen and Freemen interests. 7 new sculling boats were donated by sponsors Oarsport in 2015. Given that Doggett’s Wager was founded for Watermen, it was naturally a race for professionals and, apart from the Coat and Badge livery, there were money prizes for the first, second and third to finish. Since 1950 all the entrants have been counted as amateurs. When the Coat and Badge has been made for the winner he is presented to the Prime Warden of the Fishmongers’ Company in a colourful ceremony at Fishmongers’ Hall dating back many years. To a fanfare of trumpets, the Clerk to the Company, the winner and the Bargemaster of the Company are escorted in by past winners, wearing their Coats and Badges. The Clerk describes the race in Homeric style, the Prime Warden congratulates the winner and drinks his health in the winner’s cup, and the winner is escorted out in triumph to the strains of Clarke’s Trumpet Voluntary. A likeness of Thomas Doggett by the artist Ying Yang is on display in the Court Room at Watermen’s Hall . This is a copy of the original painting by Thomas Murray which is at Sherborne Castle in Dorset.